Make Tech Healthy… Check Out How Below! No one misses landlines. Being house bound, call waiting and crackly feedback were just a few of the numerous annoyances. However, when on catching up with a family member or client, wouldn’t it be great to bring back some nostalgia of wrapping that cord around your finger and easily keeping the phone to your ear? Well, check out Pop Desk Phone! 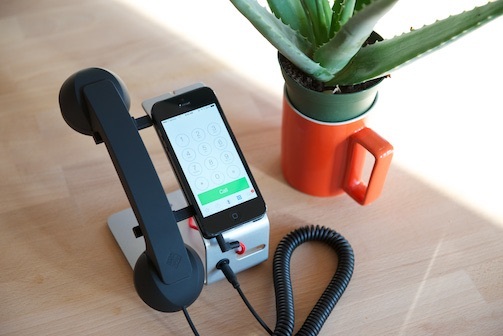 This retro detachable handset and stand is as functional as it is cute. Easily make mobile or Skype calls while simultaneously charging your phone on the anti-slip rubber pad. Meanwhile, enjoy the comfort of the handset. So bring the 90’s back in style with Pop Desk Phone. Portion sizes at home and in restaurants seem to be getting bigger and bigger. Often our eyes are much more ravenous than our stomachs, leaving us with that embarrassing moment of loosening your belt at a cocktail party or first date. Well, the tech gurus at Belty are looking to solve this problem with their new smart belt. …no you didn’t misread that, it’s a smart BELT. Instead of reaching to adjust it yourself, this belt automatically adjusts itself after you’ve had one more piece of cake than you should have. Not only does it provide convenience, but it also keeps track of your overall health and sends that information to your smart phone. 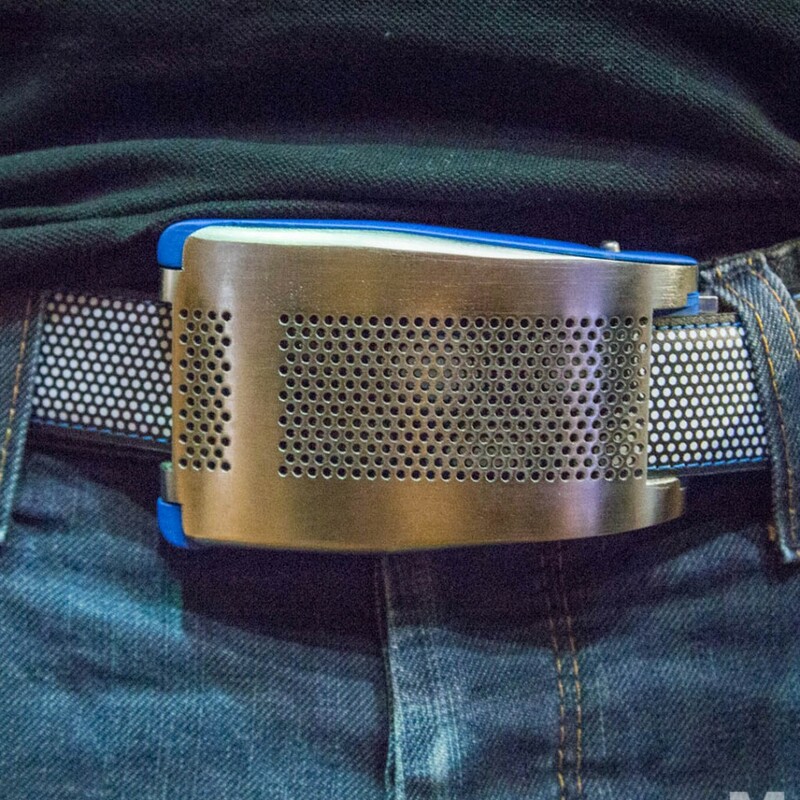 So worry no more, when Belty’s smart belt becomes available, Thanksgiving dinner may become a little less awkward. We’ve all been there: trying to figure out the tip between a dinner party of 10 guests, pondering the number of seconds left in a tedious meeting or lecture, wanting to sound smart when people are talking about the weather in Celsius. Most of the time, you get fed up trying and pass the buck to someone else. Well, Converter Plus is out to solve that problem. Free in the app store, Converter Plus seeks to provide quick solutions to real life math problems . 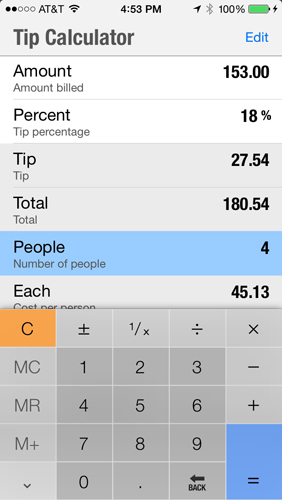 From currency to percentages, this app has got every equational conundrum covered. So save yourself the frustration and just download Converter Plus already! Getting up in the morning is hard enough. Getting up knowing you have the arduous task in front of you of trudging to kitchen and making coffee? That’s nearly unbearable. Well with The Smarter Wi-Fi Coffee Maker, this agony may no longer be a problem. With a click on your smartphone from under your covers, this coffee maker will brew you a perfect temperature coffee. 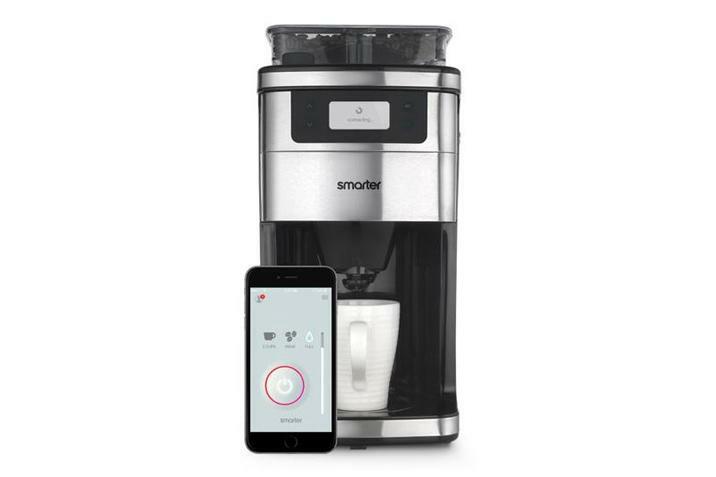 Make coffee runs- or coffee runs to the kitchen- a thing of the past with Smarter’s Wi-Fi Coffee Maker.